If stand mounting is impractical, or you just want to get your speakers up and out of the way, then a set of brackets is your best option. 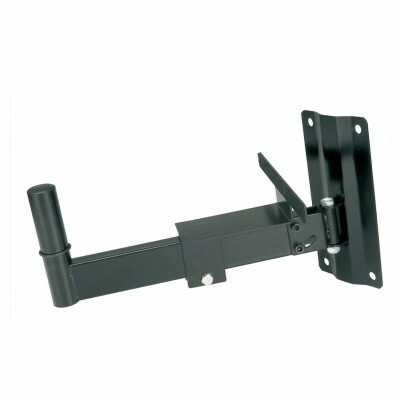 Robustly designed: This is a good strong speaker bracket for wall mounting with 35mm pole-mount. Adjustable in 3 positions, 45°, 67.5°, 90° to ensure perfect positioning.